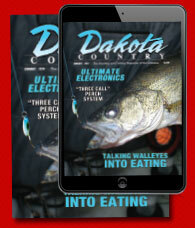 The locations we often find walleye on both natural lakes and reservoirs can be very conductive for live bait rigging. 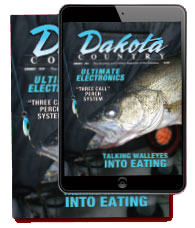 Perhaps one of the most popular presentations through much of the summer in many parts of the Midwest, live bait rigs can be fished several different ways. This season, we encourage you to push what you thought you could do with a simple live bait rig. Adding a few more tricks up your sleeve can mean more walleyes. The power of the minnow can’t be understated and with rigging, the best bait wins. Whether you are on a shiner bite, running rainbows or red tails, the best minnow wins. There is no substitute for fresh caught stream minnows. The truth is that the best riggers have the best access to the best minnows. Some anglers trap or catch minnows themselves. Other anglers just know who to call but don’t underestimate the importance of good bait when on a minnow bite. There is merit for nose hooking and tail hooking minnows. When looking for fish or pulling the first fish off a location, nose hook for extra speed and durability. When you start wearing out your welcome in a spot and want to pull a few more fish as the spot dies, you can sometimes trigger another fish by tail hooking a minnow. Tail hooking often works well when hovering over fish without hardly any forward momentum. If you pull tail hooked minnows around, they usually fatigue quickly and die. To get more kick out of minnows on a rig if you need to crawl through locations, just hook them through the top jaw and not through both jaws. Bigger minnows sometimes require a shorter leash (snell) to stay in the strike zone. Anglers can often anticipate the bite by the “shudder” or action of the minnow before the strike. Regardless of what kind of bait you are using, you can waste a lot of time in the wrong spot with a live bait rig. Trust your electronics and scoot until you mark fish. Pick up your speed and cover water, and when you get over the top of fish… stick the bait in their face. Many anglers believe that rigging requires finesse with light line, the smallest hooks possible and the bare minimum of weight but what I find is I catch more fish by using heavier snells like ten or twelve-pound test at times and here is why. When I don’t have fish below the boat, I can pick up my speed to over a mile an hour and look for fish with my electronics. When I mark a fish, I can than hover and back troll or use the spot lock on the trolling motor. By speeding up and searching and then stalling and triggering, you simply put your bait in front of more fish but there is a catch… if you use too light of a snell, your snell is going to twist up when you speed up. Light snells demand that you crawl along at slow speeds. Heavier snells allow you to speed up or slow down. Not to say that you can always drop down to a lighter snell after you find a pod of fish and want to pull a few more fish off a location as they become more difficult. Start out with the heavier snells and find the fish. The hardware associated with rigging can be minimal but a single bead or flash of color can result in more fish. Colored hooks are popular. Floats can often be used as well. One of my favorite rigging presentations I have a lot of confidence with is to crawl a jumbo leech slowly with a floating jig head. The classic floating jig head has a wobble at really-slow speeds that just makes the leech hard to resist. This rig can be pushed at 1.4 miles per hour or hung motionless. Half crawler rigs and Smile Blades have sort of morphed the rigging presentations into harnesses and there is a lot of crossover between rigging and classic bottom bouncer and spinner or slow death presentations. The difference is typically speed. Not to say that you can’t fish rigs faster because we outlined the advantages of using speed to look for fish but a rig will catch a fish when it is sitting still. A harness need momentum. What makes rigging so incredibly effective is that you can sit over the top of fish with good bait. So often early in the season, the locations are almost surgical where fish will pile up into a specific location. Could be the inside turn on a weed line or a specific shelf on the edge of a reef. The fish aren’t scattered or everywhere… when you find one you find several. Once you find fish, a rig with good live bait is going to do a number on them. Simple and effective but there is always room for adding a few tweaks.